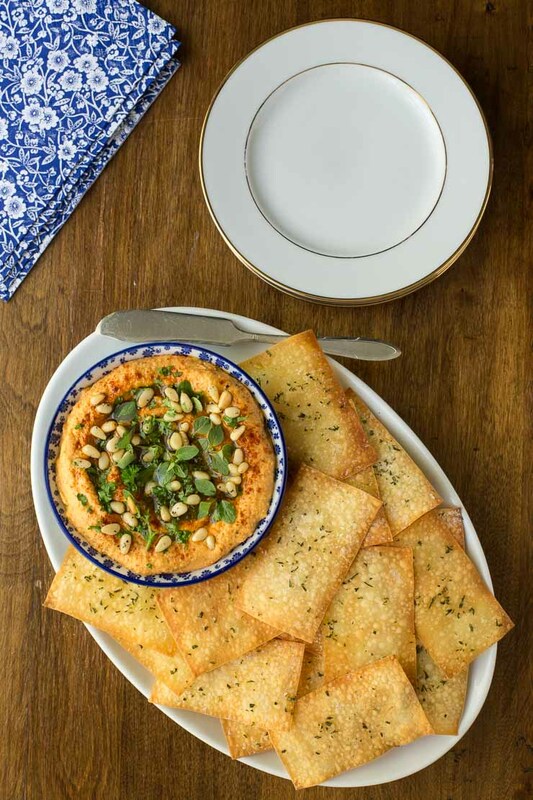 With just three ingredients and no mixing, kneading or rolling, these Ridiculously Easy Olive Oil Rosemary Crackers take 15 minutes from start to finish. A few days ago, Scott and I were planning to take a late afternoon bike ride on our local greenway. We thought a mini nap would be nice though before venturing out, as we’d been up and busy since early that morning. Scott headed upstairs while I finished up a few things in the kitchen. As I was tidying up however, I remembered I’d bought the ingredients to try these olive oil rosemary crackers. That was the end of the nap for me, I couldn’t wait to try out the recipe. Twenty minutes later I woke Scott up with a plate full of my finished product. Then and there, I decided these had to be part of my ridiculously easy series, as they were so easy to make and had taken just minutes to put together. After the second batch, they were dubbed Ridiculously Easy Olive Oil Rosemary Crackers. Scott took the first bite and decided they were ridiculously delicious too! 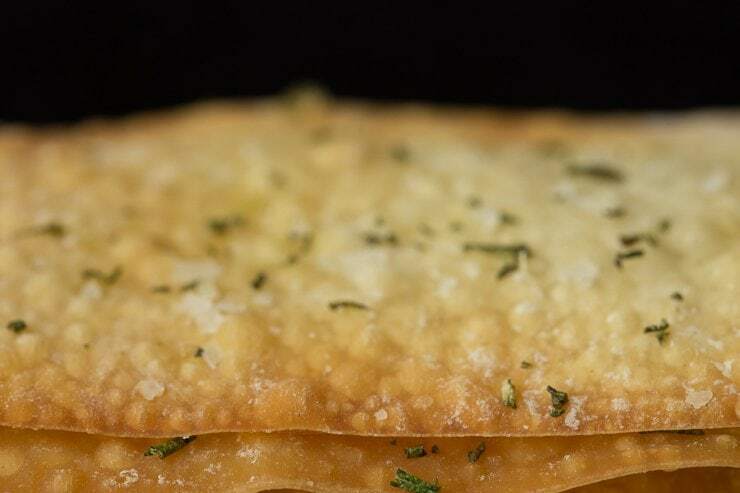 These olive oil rosemary crackers aren’t an original idea. The inspiration came one day when I had googled “easy crackers“. If you click on that link, you’ll see lots of recipes. I’m not even sure what I was a looking for, but while scrolling, I saw a few recipes for thin, crisp looking crackers that were made from purchased wonton wrappers. 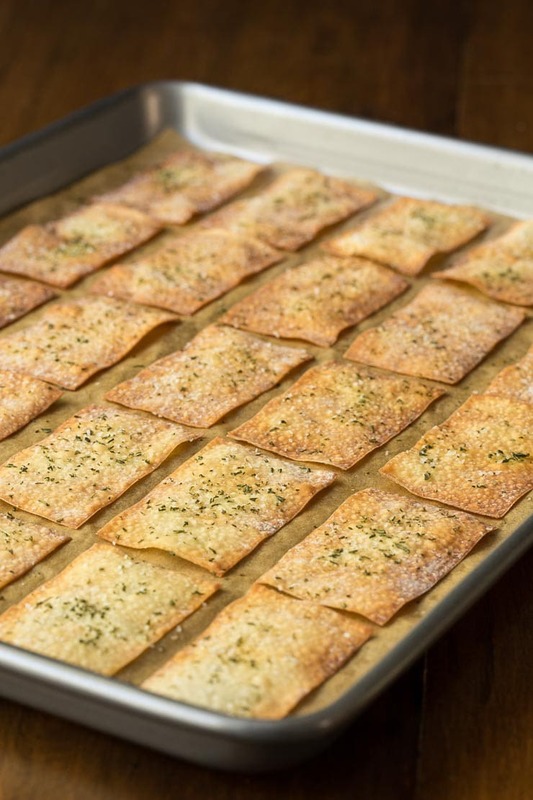 I’ve used wonton wrappers for ravioli and pot stickers – but crackers? That had me intrigued. The next time I shopped for groceries, I made sure to purchase some wonton wrappers. I also threw some egg roll wrappers in my cart. They were right next to the wonton wrappers and are made of the same ingredients, just a bigger size. I wasn’t sure exactly what I was going to do with them, but my curiosity was aroused. The first time I made the crackers (when I was supposed to be napping) I kept it really simple. Just a light rub of olive oil and a sprinkle of sea salt. They were great and Scott and I enjoyed them with a bowl of hummus. I decided to add just one other ingredient the second time, a sprinkle of finely chopped fresh rosemary. We like them even better with the rosemary. To me, fresh herbs make just about everything taste better! I love that these crackers are fairly low cal too. One egg roll wrapper is just under 60 calories. Each wrapper is cut into 6 portions for these crackers which brings the calorie count down to 10. The olive oil adds just a few extra calories as there’s only 2 and a half teaspoons included for a whole panful of 24 crackers. That makes the total amount of calories per cracker 13. Not bad for a nice size cracker! 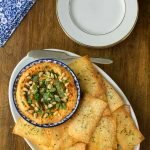 I like to serve these super thin, super crisp crackers with hummus for a healthy snack or appetizer. 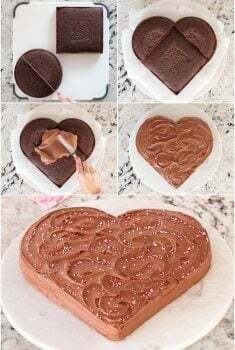 They’d also be wonderful with bean dips, guacamole, on a cheese tray, with a bowl of olives or served along side soups and salads. Make plenty, as these easy, olive oil rosemary crackers store well and I’m quite certain you’ll find lots of other uses for them too! 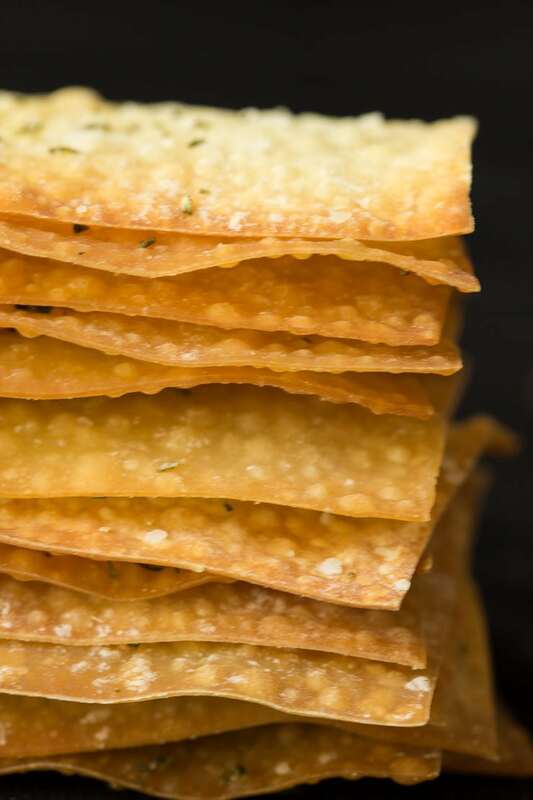 Oh, I almost forgot to tell you one of the best things about these Ridiculously Easy Olive Oil Rosemary Crackers. They only take 5-6 minutes to bake! That means, if you keep a package of egg roll wrappers stashed in your fridge, you can have a batch made in no time flat. You could even do it while someone else in the family takes a 20 minute nap! Egg roll wrappers can be found at most larger grocery stores in the produce section. Sometimes they’re tucked away in an obscure corner. If you can’t find them, just ask one of the produce workers and they can point you to them. The crackers will continue to bake and get a little more golden, once they’re removed from the oven. 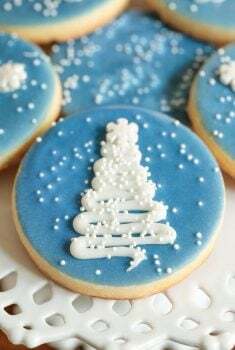 Take them out when they’re slightly lighter in color than what you’d like. 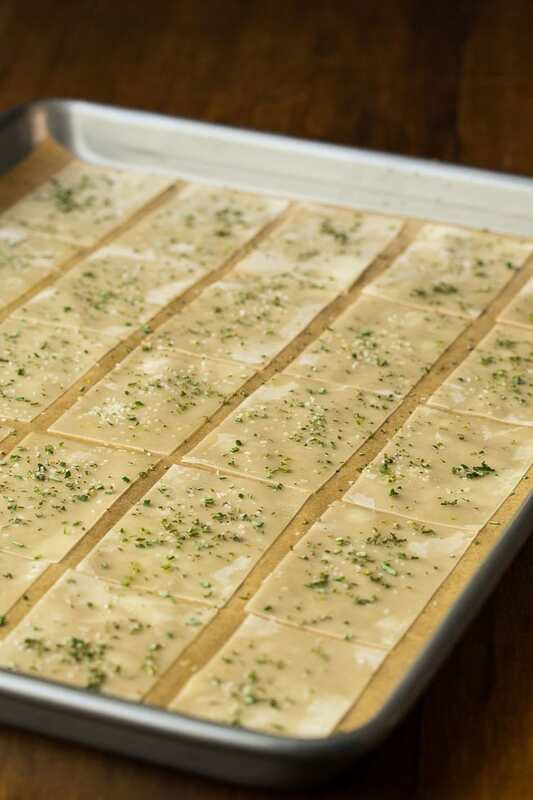 Set a timer when you’re baking these Ridiculously Easy Olive Oil Rosemary Crackers. They can go from light golden to deep brown pretty quickly. I set my timer for 5 minutes, check them and add another minute if needed. Feel free to vary the fresh herbs. Thyme would also be nice as would oregano, chives and/or dill. You could even do a combination. Just make sure to chop them nice and fine. No fresh herbs? Not a problem. Dry herbs will also work. A light sprinkle of Italian Seasoning or herbs de Provence would work too. If you’re making more than one batch, you can use the same parchment paper over and over. If you don’t have parchment, foil will also work. I love these parchment paper sheets cut to the perfect size for half sheet pans (the normal cookie sheet size). They save lots of time and a box lasts forever! The sheets come in a nice, flat, cardboard container, so they’re easy to store. 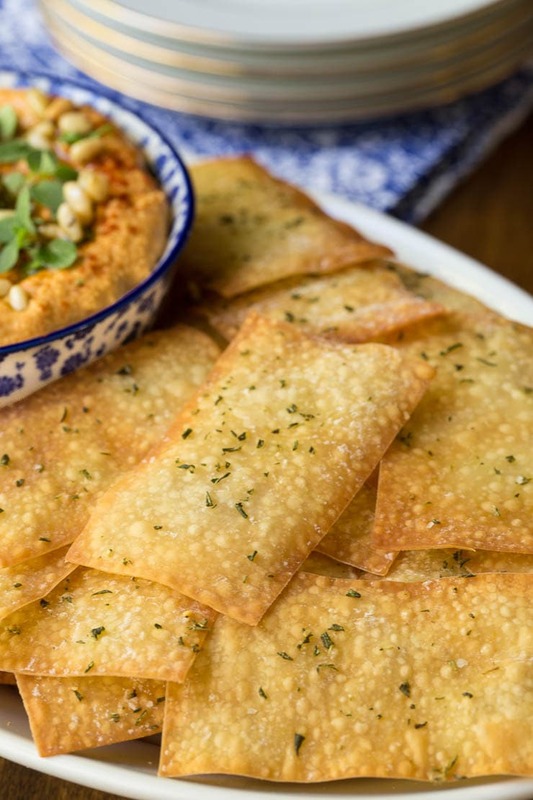 If you enjoy making your own crackers, here are two of our other favorite recipes: Lemon Rosemary Flatbread Crackers and our Chili Oil Rubbed Flatbread Crackers. With just three ingredients and no mixing, kneading or rolling, these Ridiculously Easy Olive Oil Rosemary Crackers take 15 minutes from start to finish. They're also ridiculously delicious! Preheat oven to 375 °F. Line a sheet pan with parchment paper. Place several thickness of paper toweling on a work surface. Cut egg roll wrappers in half and stack them on top of each other. Cut the halves into 3 equal rectangles. Drizzle the olive oil on the parchment paper lined pan. Rub the olive oil with your fingers to coat the parchment paper. Lay one rectangle of egg roll wrapper on the oiled pan, then flip it over so oiled side is up. Repeat with all the pieces, arranging them in rows. Rub the tops of the crackers to make sure the oil is evenly distributed. Sprinkle lightly with salt, then sprinkle with all of the rosemary. Bake about 5-6 minutes or until light golden and crisp. They will continue to deepen in color a bit after being removed from the oven so don’t allow them to get too brown. 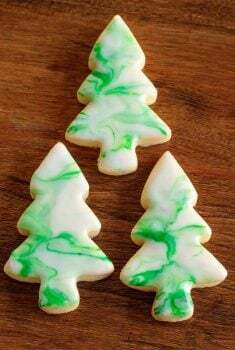 Transfer crackers to the paper towels to cool. Store in an airtight container. I absolutely loved them. I took a batch to work and they loved them too, and a few wanted the recipe. 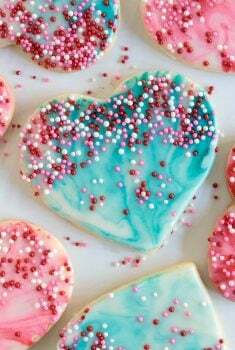 I’ve made them 4 times and they turn out great every time. sometimes I let them get a little browner then others, just for the extra crunch. Yummy either way. I love the name too since they ARE ridiculously easy. thanks for the recipe. First recipe I’ve tried from this site that I didn’t care for. I followed the recipe exact and used fresh rosemary from my garden. Since I have so many wontons left I’ll try them one more time and add more seasoning to see if that makes a difference. I used wonton wrappers and eliminated the cutting.